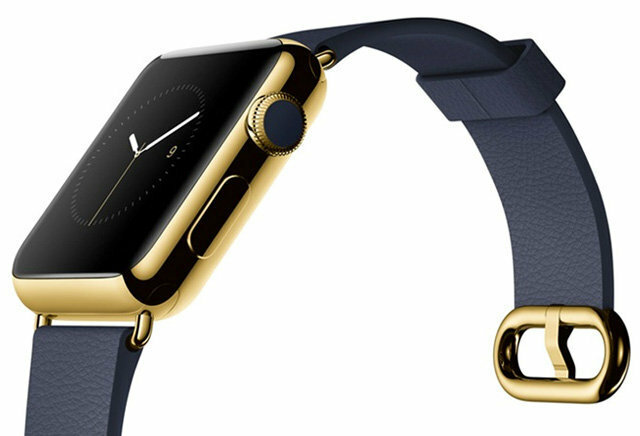 With the Apple Watch set to ship in aluminum, stainless steel and 18-karat gold, Apple could launch as many as three additional casing materials in time for this fall's holiday shopping season, according to well-connected analyst Ming-Chi Kuo. In a new research note published by KGI Securities on Wednesday, a copy of which was obtained by AppleInsider, Kuo said he expects at least one, but as many as three, new casings to go into production in the fourth quarter of calendar 2015. Those new models, he said, could debut as soon as this fall. The rumor comes on the heels of a separate report which indicated that Apple experimented with platinum casings for the Apple Watch. Platinum watches can often sell for triple the price of gold ones, which would make such a model even more premium than the $10,000-and-up Apple Watch Edition announced this week. Kuo gave no indication of what sort of casing materials Apple could have on tap, but he did say that the new options could help boost sales at the end of the year and leading into 2016. Other materials that Apple could introduce include white gold, titanium, or even ceramic. Less common materials include carbon fiber, rubber, or custom creations from fine watchmakers like Rolex's "Rolesor" and Hublot's "Magic Gold." Kuo forecasts shipments of between 5 million and 6 million Apple Watch units in the first half of 2015, growing to between 15 million and 20 million units in all of 2015. Those numbers are lower than market consensus of between 20 million and 30 million units for the calendar year. The analyst said he believes that the Apple Watch will follow trends established by previous first-generation products from Apple, and will "focus on verifying whether the user behavior and business model are right." He expects that shipments could grow significantly starting with the second- or third-generation models. Last year, Kuo correctly predicted a number of details about the Apple Watch before its unveiling, including the fact that it would come in two sizes and feature 8 gigabytes of internal storage. He also noted at the time that Apple would offer the device in a variety of color and material options, including gold.